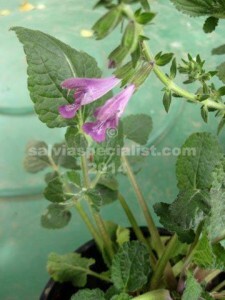 Trijuga is a small Chinese salvia so it is probably used in medicines. It is winter dormant. In summer it has 50cm spikes of purplish flowers. Seed might need to be fairly fresh to come up well. I had my original plant on a berm (a raised mounded hill) and it grew there a few years. Since then I have had more trouble growing it so I would say it needs very good drainage and sun.